Creating a physical product with metaphysical implications. Phil McKinney is a juggernaut in the world of creative thinking, design, and innovation. He is well-known for his nationally syndicated radio show Killer Innovations, which is listed in Forbe’s Top 5 Business Podcasts. Phil approached us at Stotion hoping that we could help him translate his killer radio show into a killer physical product for innovators and creatives. So how do you incarnate 30+ years of innovation expertise? 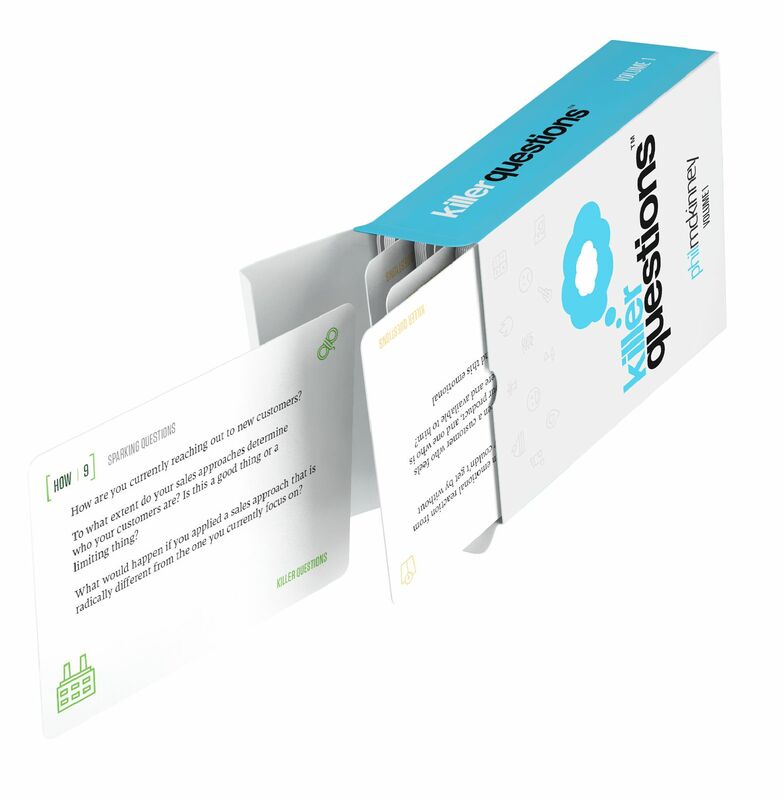 With a power-packed deck of large, sturdy cards: each card packing the punch of a potent thought-provoking question. The questions are refined and tested to help you fan the embers of your creativity and feed your ideas to create blazing innovations. 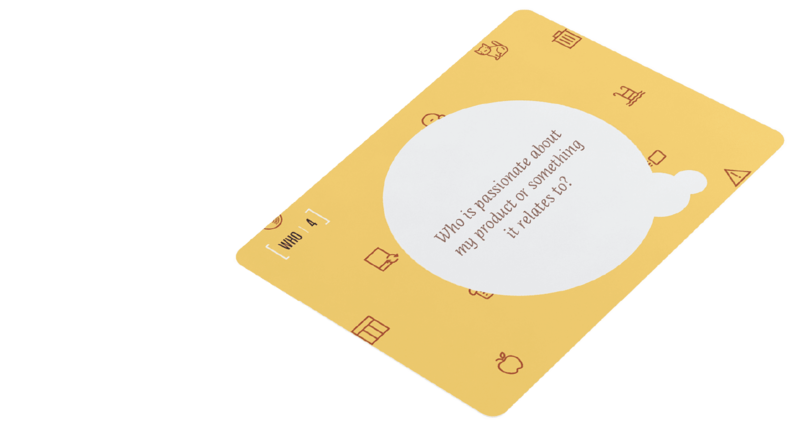 The meat of this product is in the questions, so we chose minimalist colors and peppered the cards with simple icons to support that priority. The colors subordinate themselves to achieve clear communication, and the icons offer themselves as thought catalysts for creativity. The cards were announced, orders poured in, and The Innovation Network even upgraded their fulfillment practices to satisfy the demand. If you are an innovator or a creative; keep on thinking outside the box. Then, when your out-of-the-box ideas are showing some promise, put those thoughts through this box’s gauntlet and see if a real champion emerges. Buy Killer Questions Vol. 1 Here.